These little treats are so easy to make, especially if you buy the meringue nests as I did. 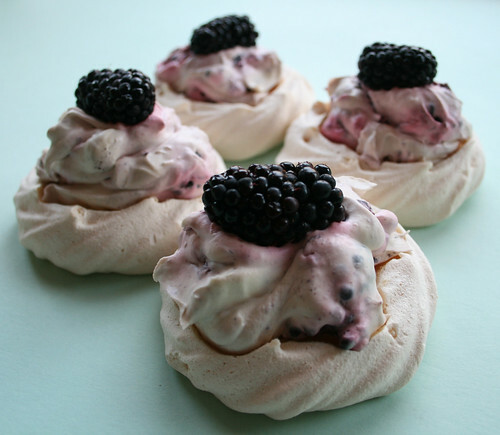 Then it’s just a case of assembly; whip up some double cream, fold through a little caster sugar and some fruit like the luscious blackberries that are in season now, dollop it on top of the meringues and top with more fruit. They’re quick and dreamy, and perfect for a mid-week dessert.